Welcome to the website of Sonoran Vein and Endovascular! We value your time and are committed to spending quality time with each of our patients discussing the best care and treatment options for your veins and arteries. We work in collaboration with your primary care provider to ensure the most effective treatment plan. 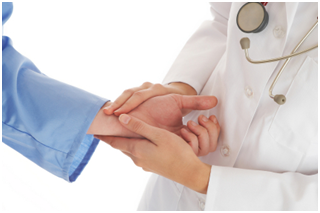 Our priority is to provide exceptional care in a welcoming yet professional environment. If you would like to schedule an appointment or speak to one of our skilled associates, please do not hesitate to contact our office directly or email us at info@sonoranvein.com. One of our friendly and professional staff members will be in touch with you within 1-2 business days. If you have already scheduled an appointment, our patient paperwork is provided here for your convenience. The forms can be printed, completed, and brought with you to your scheduled appointment. If you are unable to download and complete the patient forms, please arrive to your appointment at least 10 minutes prior to your appointment time so that you can complete the required paperwork in our office.